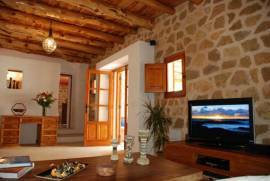 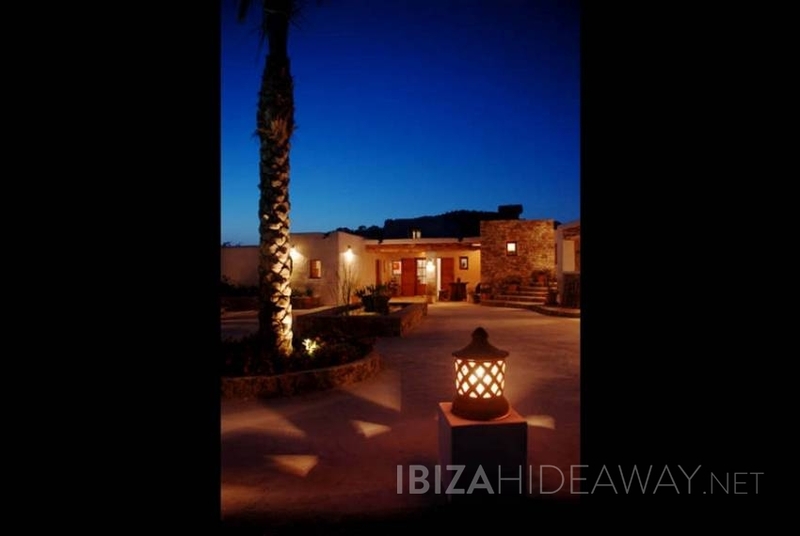 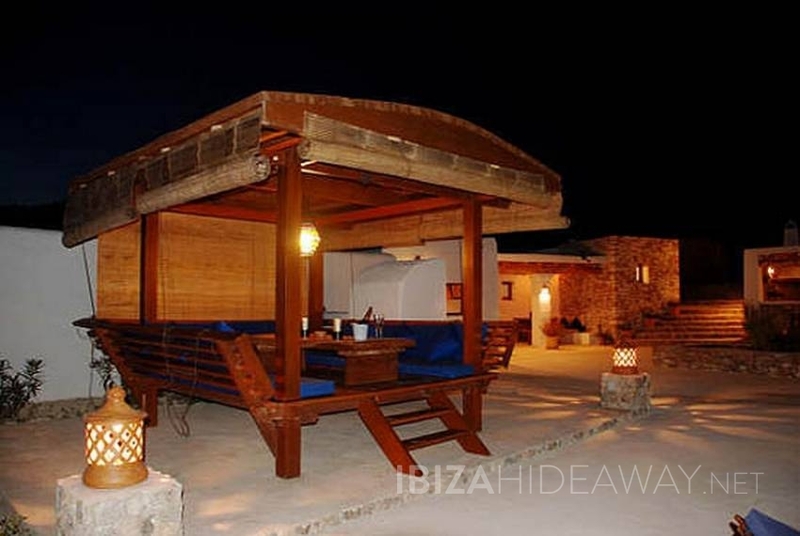 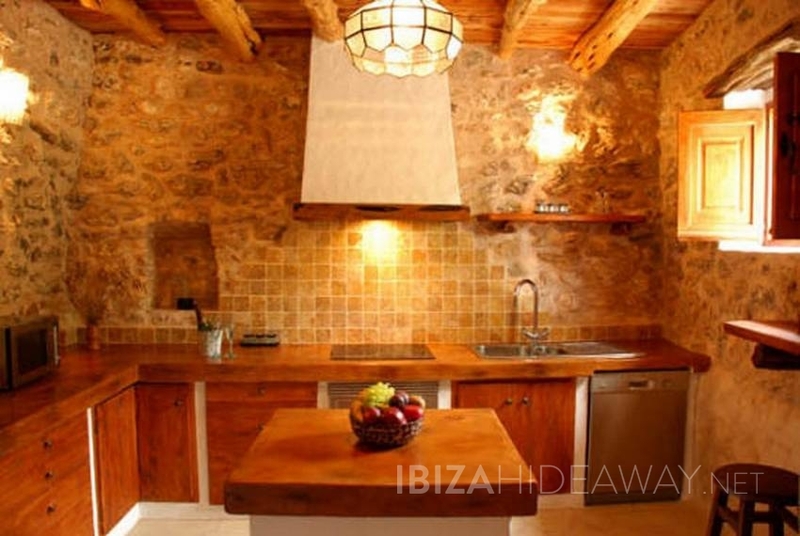 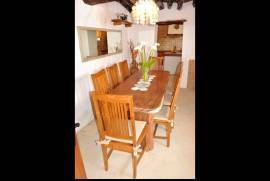 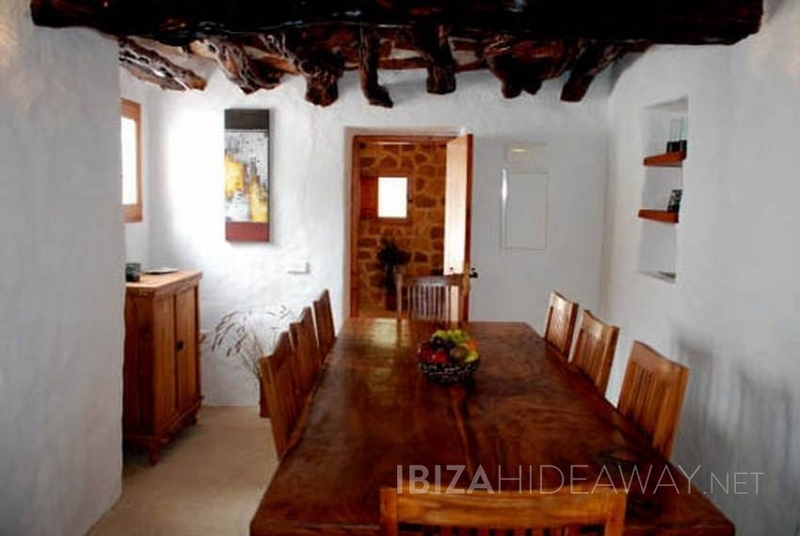 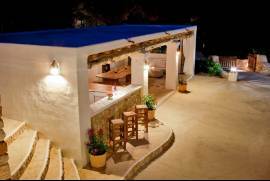 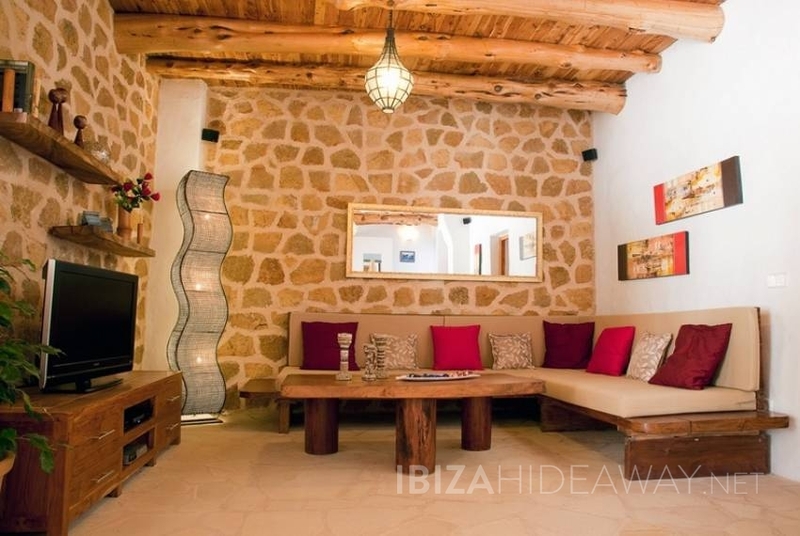 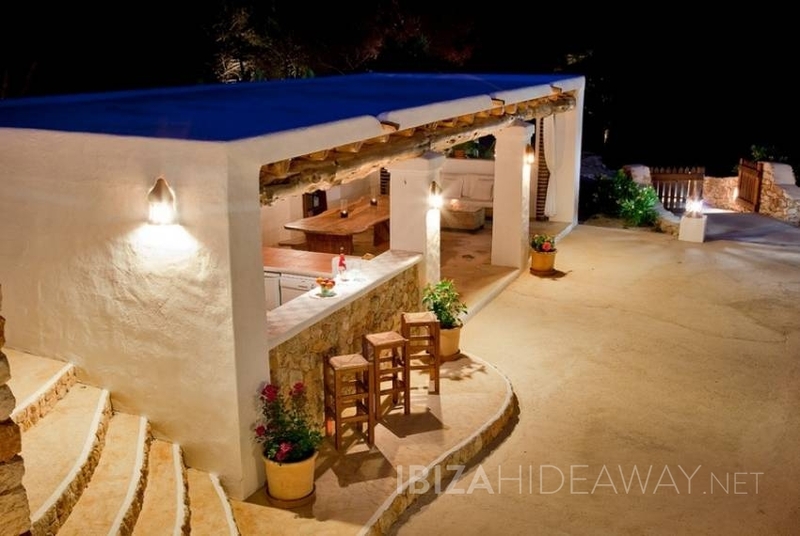 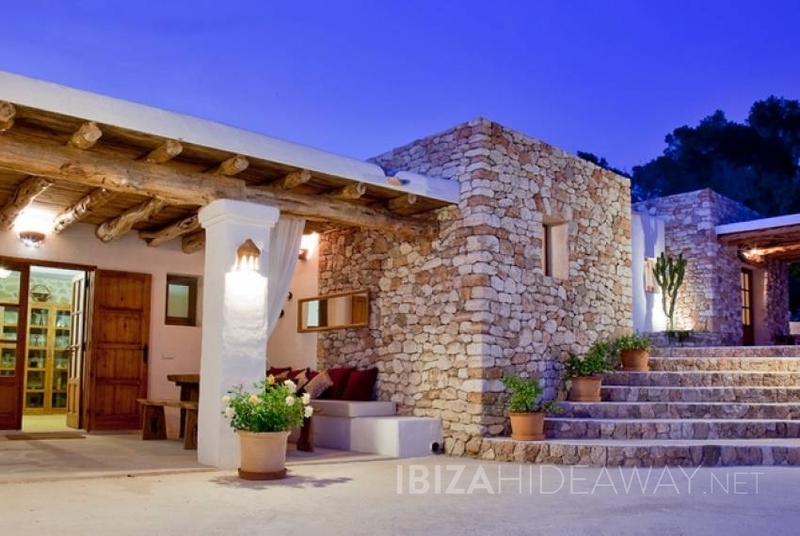 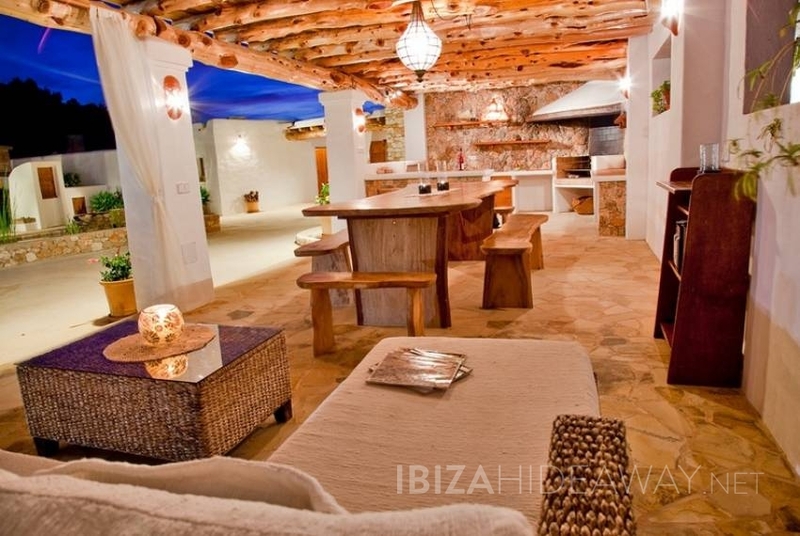 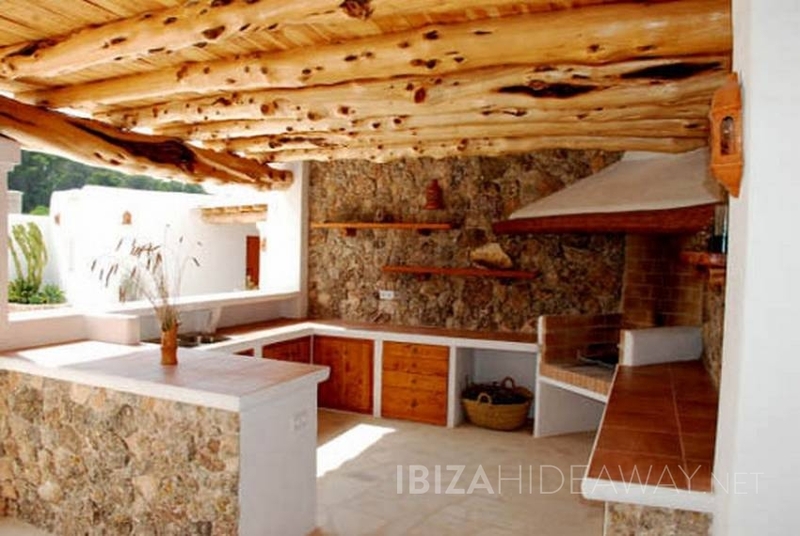 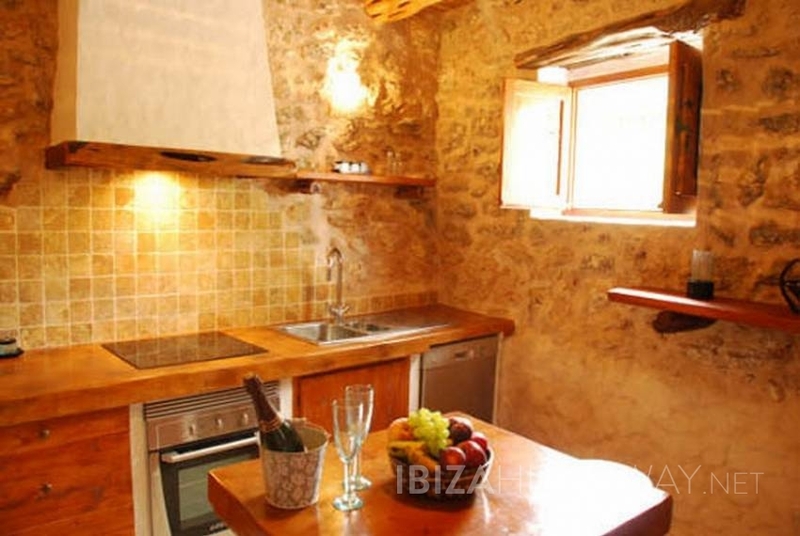 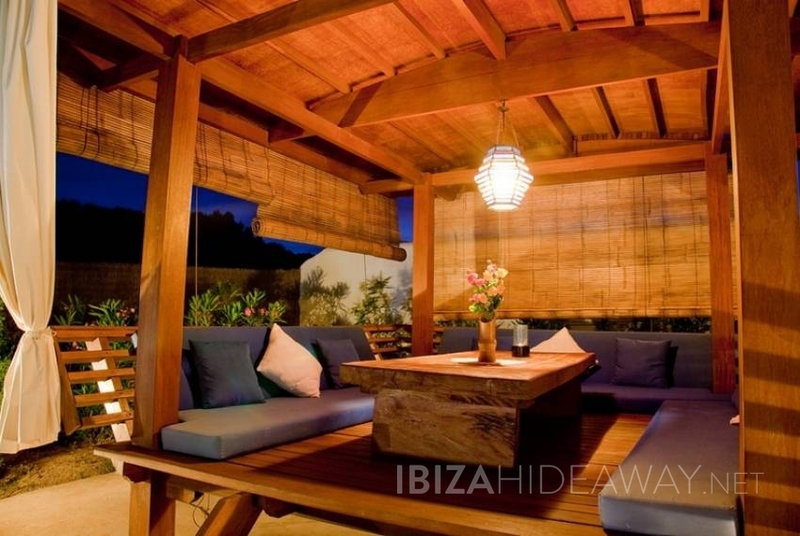 Located in the south of the island, 3km from the village of San José and 2km from Cala Vadella beach and within easy reach of other beaches such as Cala d'hort, Cala Tarida or Cala Conta, where the sea and excellent restaurants can be enjoyed. 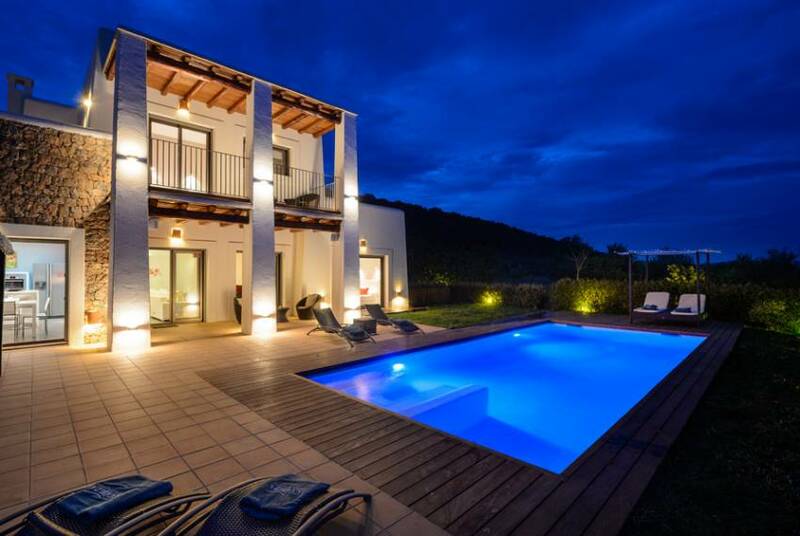 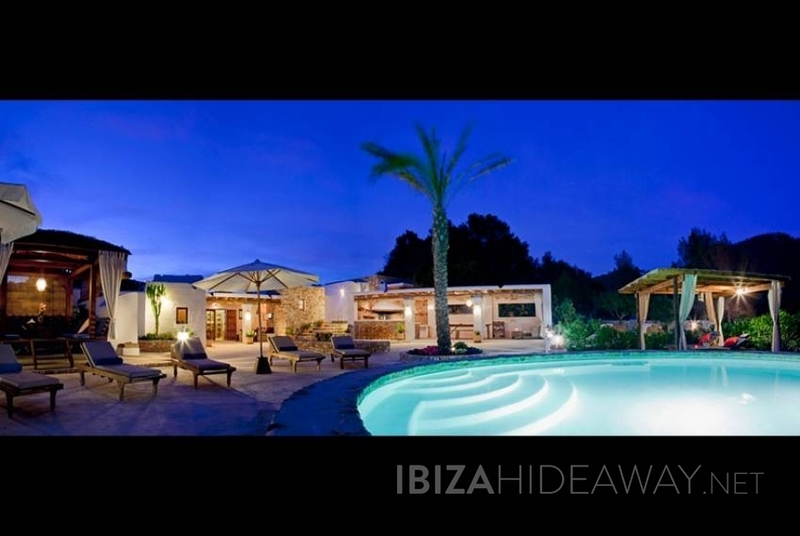 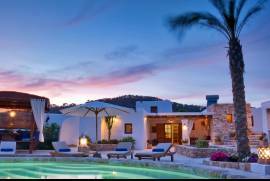 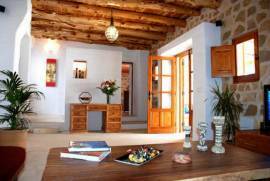 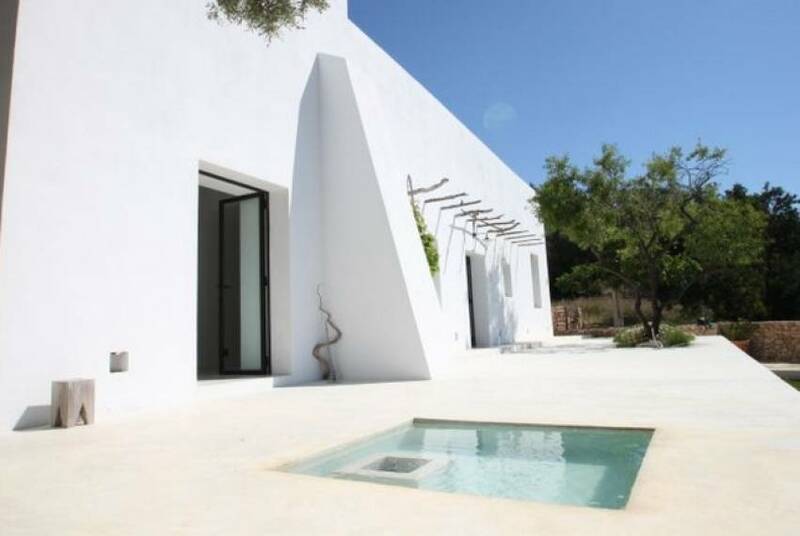 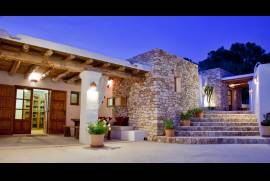 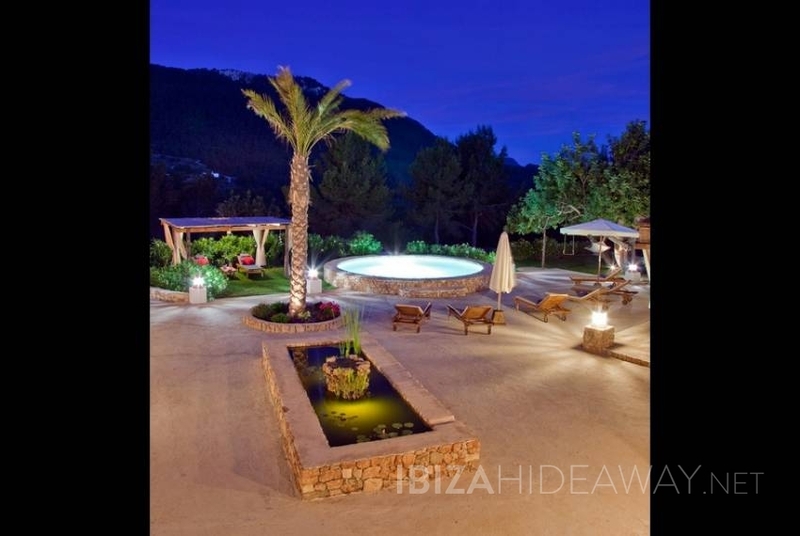 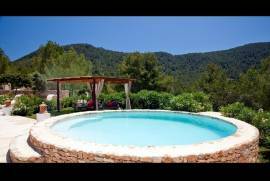 Villa 'Sa Paissa d'en Sergent' is in an incomparable place with beautiful views overlooking the Es Canal de Sa Torre valley and in front of the Ses Roques Altes cliffs, you can enjoy total peacefulness and nature in it's purest form. 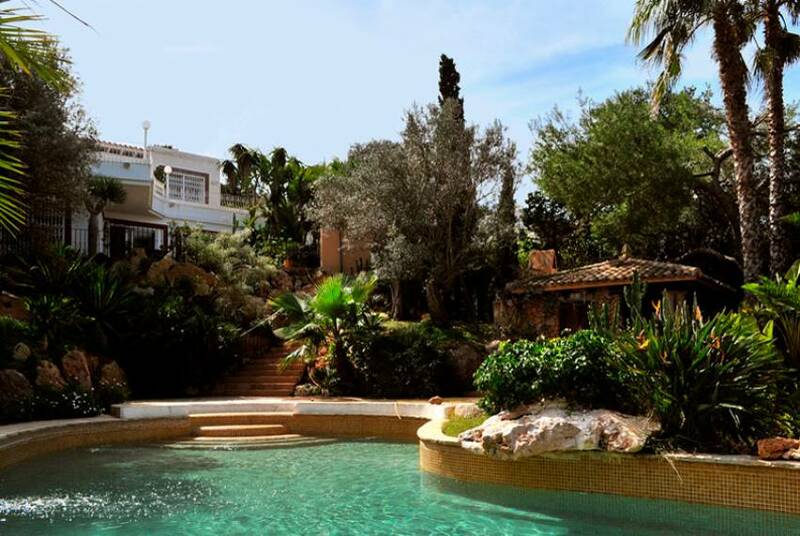 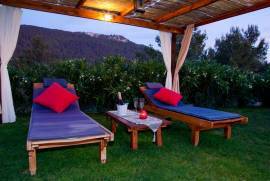 The house has 390m2 and 1.500 m2 of terraces with gardens. 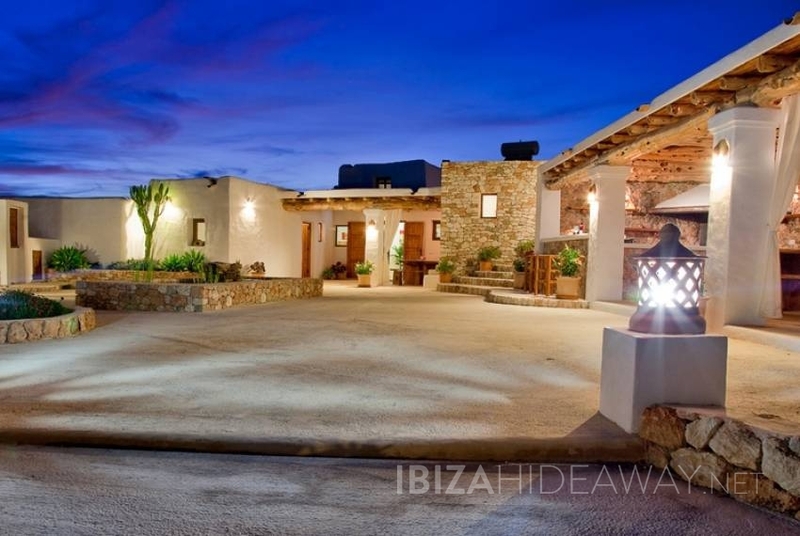 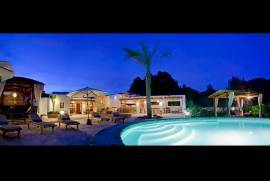 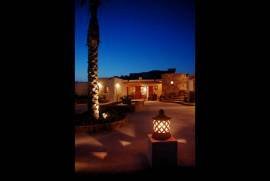 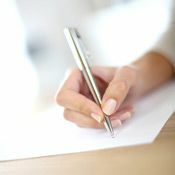 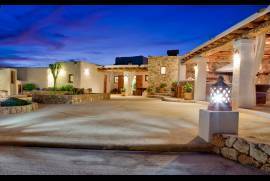 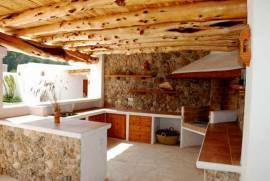 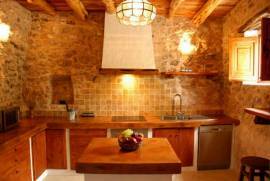 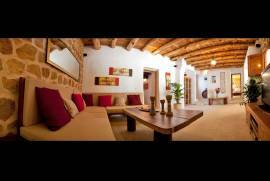 The finca boasts 40.000 m2 of land. 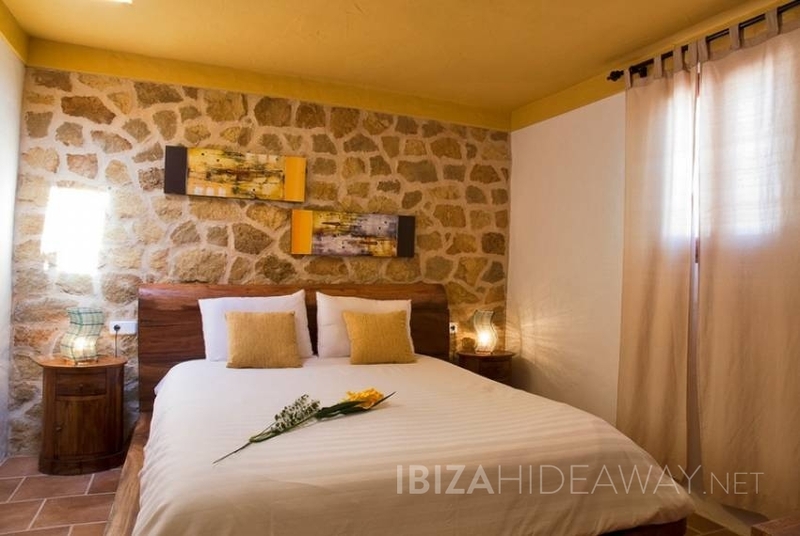 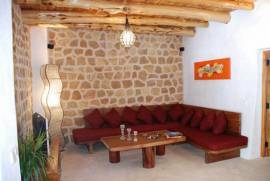 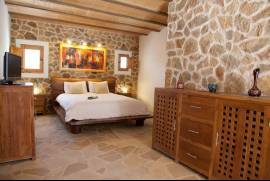 There are three bedroom type suites in the main house and two further in the guest houses, so the villa can sleep up to 10 or 11 people comfortably. 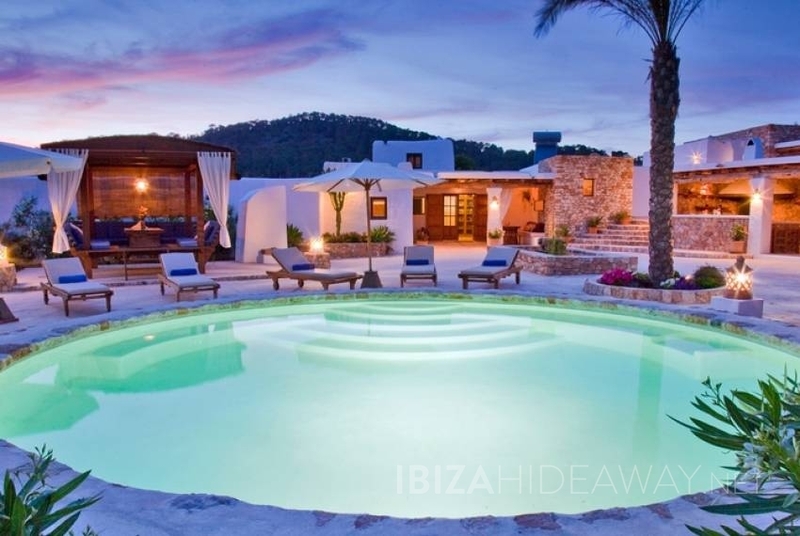 The particular round shaped pool has greek style seats alongside the border and hydromassage jets. 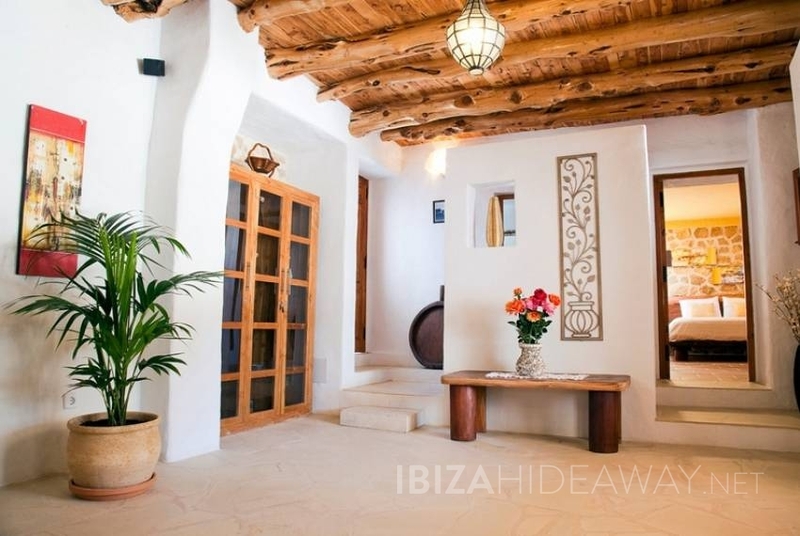 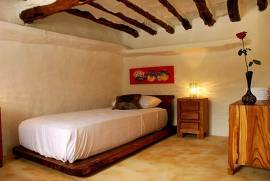 The finca dates back some 300 years, having been reformed using the same building techniques from the past, using natural elements such as stone and wood with thick walls, whitewashed with cal paint and authentic sabina ceilings, which give the house its incomparable elegant feel and a beautiful smell of natural wood. 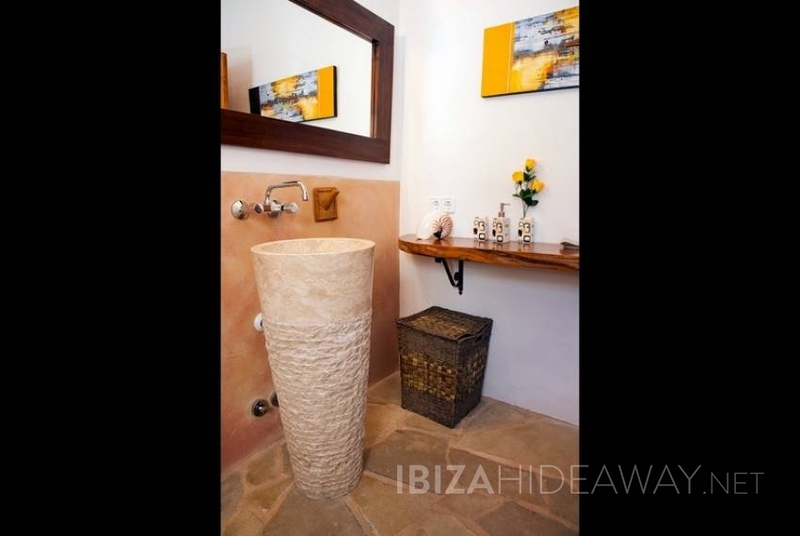 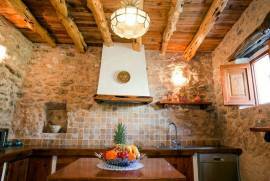 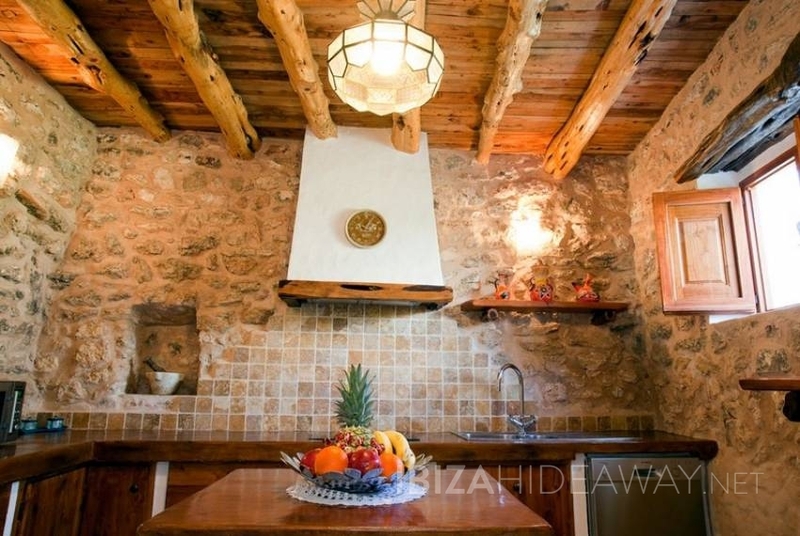 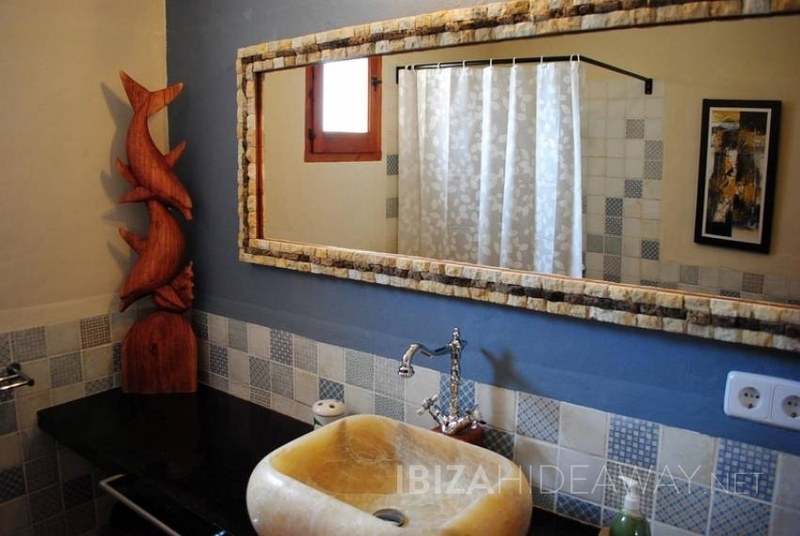 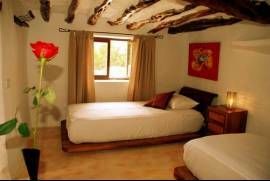 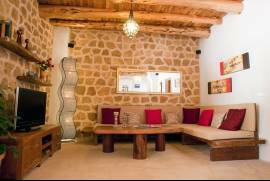 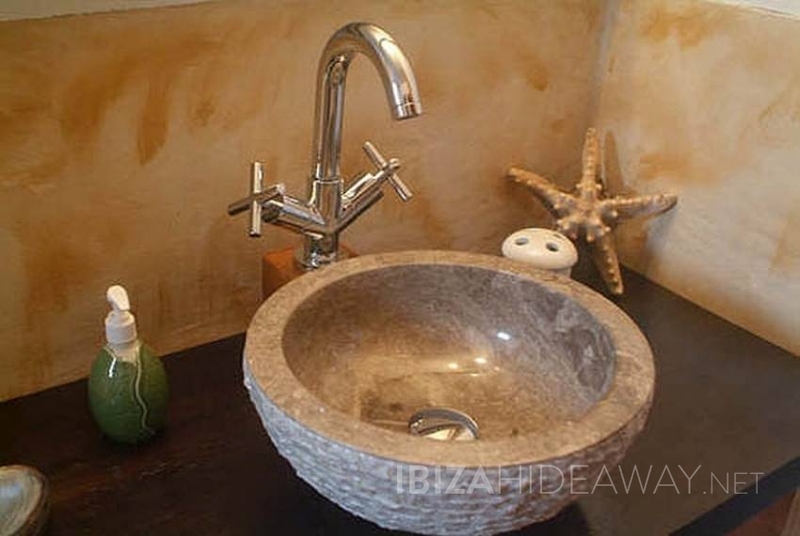 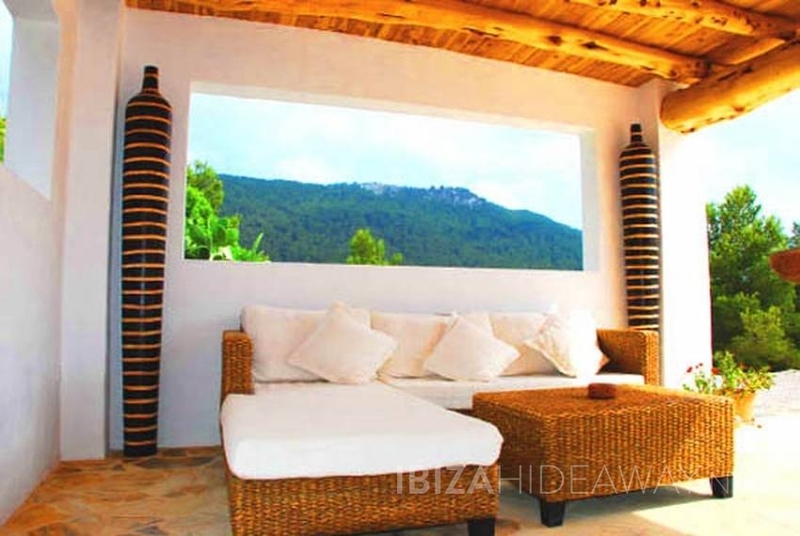 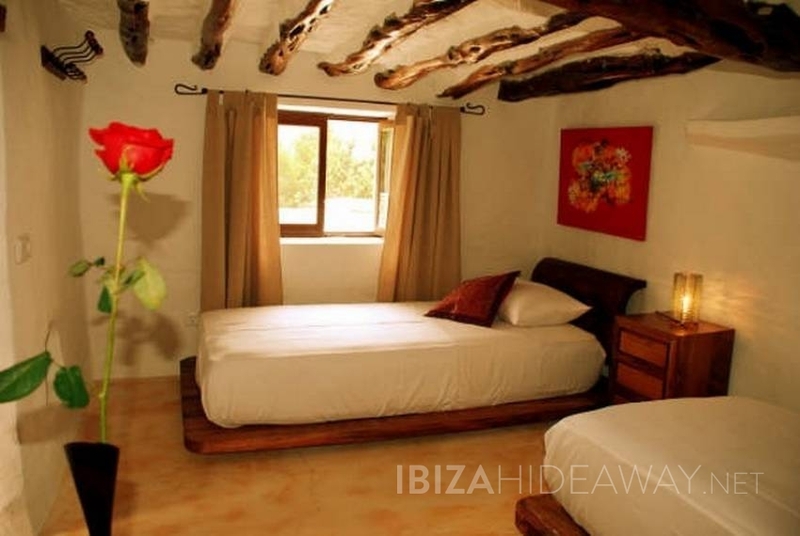 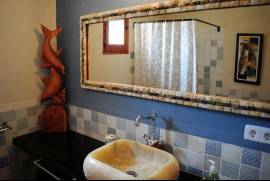 In this Feng Shui styled villa you can enjoy a wide variety of activites without having to move far: A relaxing massage, Ayurveda treatment, yoga classes, or if you prefer, a quiet ride through the finca which has a wide range of trails for horse riding, mountain biking or simply just walking to contemplate the amazing sunset and Es Vedrá views.